Made this card for a friend using CTMH papers and stamp (of the girl)...the sentiment is a different brand stamp. Oh I love this stamp Debbie! She is so lovely!! 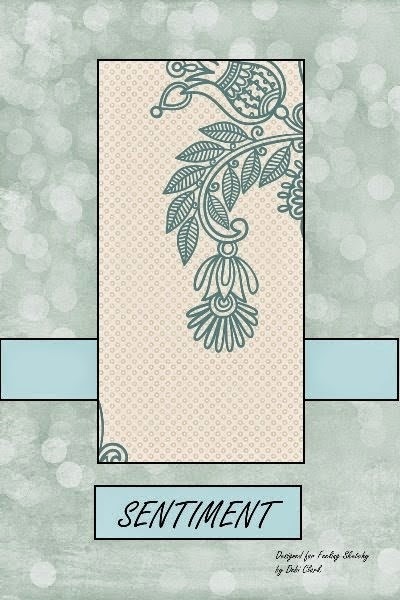 Love your wonderful layering & background papers & textures! Thank you for joining with us at Feeling Sketchy. Hey, great to see you :-) , wonderful card, great inking/stamping, thanks for playing with us at Feeling Sketchy ! Love this girl stamp ! Very nice card ! Thanks for playing along with us at Feeling sketchy ! Oh what a lovely stamp. Beautiful work! Thanks for joining us at Feeling Sketchy.